Killjoys is a Canadian 60 minute scripted science-fiction television series, which kicked off on June 19, 2015, on Space and is broadcast every Friday at 22:00. The show is currently in its 5th season. Space has officially confirmed the renewal of Killjoys for Season 6. The exact release date is yet to be announced so far. Sign up to track it down. September 1, 2017 - SYFY and Space announced today the pickup of Seasons 4 and 5 of the sci-fi adventure series KILLJOYS ahead of its action-packed Season 3 finale airing tonight at 8/7c. 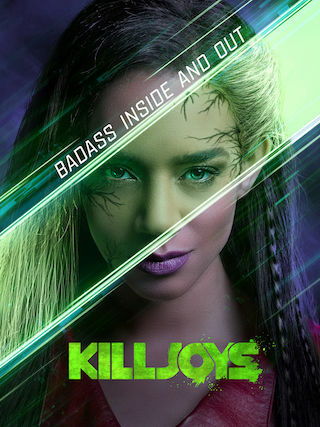 "A final two-season order is a huge vote of confidence for a show that keeps getting better and better," said Fortier and Schneeberg, co-presidents of Boat Rocker Studios and executive producers of KILLJOYS.